-South Florida theater professionals this season have demonstrated a hefty appetite for Stephen Sondheim, with presentations of several of his shows. Hopefully, the theatergoing public has shared the enthusiasm for this sophisticated, bold, creative artist; Sondheim, one of the greatest lyricists/composers ever, offers meaty, muscular, brainy fare. You’ll be hard pressed with Sondheim’s material to find sugary, light-weight material with empty calories that does little to nourish and stimulate the mind and soul. 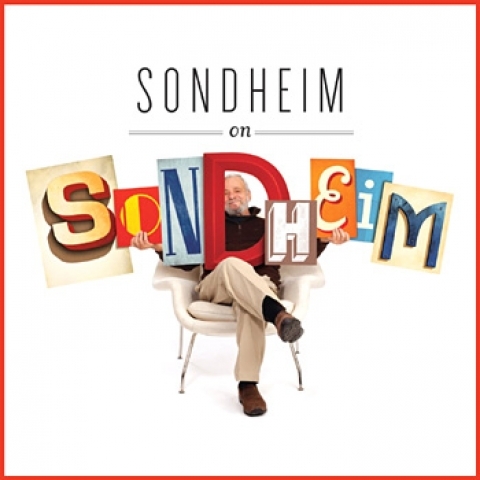 “Sondheim on Sondheim” is the king of the revues highlighting the composer’s music. During that show, presented not long ago in a splendid production by Coral Gables’ Actors Playhouse at the Miracle Theatre, we not only watch performers act out Sondheim’s songs; we watch video clips of the genius himself, in between numbers, offering stories as well as insights into his methods and techniques. Sondheim’s personality comes alive before us, in all his wittiness, his serious work ethic, his thoughtfulness, his sensitivity and, of course, his insight. We get a rare glimpse into the working mind of a genius. More than one revue of Sondheim’s extensive body of work exists. The Stage Door Theater in Broward County is presenting what one might call a “poor man’s version” of “Sondheim on Sondheim,” titled “Putting It Together.” The self-described “longest running non-profit theatre in South Florida” which offers “exceptional theatrical productions year-round” is “Putting It Together” quite deftly, under Peter J. Lowey’s astute direction and smart staging, through June 19 at its performances spaces in Margate. Unlike in another Sondheim revue, “Side by Side by Sondheim,” there’s no narrator to link the songs. Rather, a dramatic framework exists in which two couples are attending a cocktail party at an upscale residence. This allows the characters to sing nearly 30 Sondheim songs outside the context for which he composed/or wrote the lyrics. There’s a nice contrast in this revue, which balances slow, contemplative songs with those that unfold in an almost frantic pace. While Sondheim’s view of marriage and relationships is clear, the songs also present a balance between his sardonic view and the need for human contact. In addition, the show demonstrates to audiences the depth and breadth of Sondheim’s work. For the most part, the songs neatly fit into the framework Sondheim and co-creator Julia McKenzie has created for “Putting it Together.” One of the few exceptions is the song “Hello Little Girl.” The song’s from Sondheim’s musical “Into The Woods,” about the darker side of fairy tales and wishing for more than living happily ever after. The song that follows, “My Husband the Pig” is a song that naturally follows, sung by the man’s wife. In Sondheim’s view, marriage isn’t exactly a smooth-sailing, blissful, blessed state. Perhaps Sondheim’s difficult childhood (his parents divorced when he was 10) influenced the long-time bachelor’s cynical view toward relationships. It’s a view illustrated perhaps nowhere better than in the patter song “Getting Married Today” from “Company” about a 35-year-old bachelor and the married couples in his life. In “Putting it Together,” the song comes after “Woman 1” (one-half of the couple hosting the party) recalls her first wedding day when she was “unsure and panicked” according to a summary of the show. The satirical song deftly contrasts a wedding as a blissful, blessed occasion to a moment that could result in hyperventilation or a heart attack. “Bless this day, pinnacle of life, husband joined to wife,” several joyful, prayerful individuals sing as a soon-to-be-married couple stands nearby. A flustered Amy speeds through the following in a frenzied state. As the woman with cold feet expresses her anxiety, the “blessers” of this day simply stare straight ahead. Wide smiles are plastered on their faces, either listening intently and with concern or oblivious to this poor woman’s feelings. Or worse, they’re mocking her. The role of the frantic woman is the toughest to portray in this revue. It requires the actor to convincingly express the emotions the character’s feeling while basically saying the words as fast she can without getting tongue-twisted or messing up on a single syllable. Think of it as clearly conveying a Shakespearean passage while saying it at the speed of light. Sondheim, with his keen understanding of human emotions and the sophistication of his speech and music, is a lot like the Bard. To sing his songs effectively is to act effectively. Ann Marie Olson, one of the clear stars of the production, has a versatile, expressive face that allows her to convey many of the emotions of the characters she portrays. With an agitated, red face, she never misses a beat as she plows through the passages of “Getting Married Today,” looking as though she’ll faint from lack of breathing. One of the other characters (a self-admiring Alexandria Lugo) sings about how adorable she looks as she pours the men champagne. In an expression that suggests annoyance mixed with ridicule, Olson’s character imitates the other woman singing “I'm lovely, all I am is lovely, Lovely is the one thing I can do. Each actor offers multifaceted performances, convincingly expressing a range of emotions and states, from dreaminess, humor, passion, playfulness, modesty, confidence to cynical, seductive, confidence and cheerfulness. Each of their singing voices are strong and expressive. The performers are accompanied by a smooth-sounding on-stage band which comprises Andrea Gilbert playing woodwinds, Julie Jacobs on drums, David Nagy on the piano and Martha Spangler on the bass. Under Nagy’s musical direction, the band never drowns out the performers. Lugo, while she sings “Lovely,” spreads her arms as though she’s in flight, a happy, graceful swan with no cares or worries. The dashing men in the cast, Anthony Massarotto, Darrick Penny and Jason Plourde, sway in that same serene state in at least one song that carries that mood. They also display good chemistry with the female cast members in some of Sondheim’s love songs. Larry Bauman’s elegant costumes are a perfect fit for Sondheim’s sophistication and elegance. The men wear black tuxedos and the women fancy, dark evening wear, with one of their costumes sparkling. The set design by Michael McClain consists of arches, stairs, a framed artwork and liquor. The design is congruent with the atmosphere of an elegant cocktail party, but doesn’t in the least suggest an apartment. The program notes the action takes place in “an apartment in New York” without specifying a time period. Lighting designer Shekar Aiyer creates an appropriately formal ambiance. The mood is cheerful in the beginning, as comical instructions are relayed to the audience. “Don't say, ‘what?’ To every line you think you haven't got. (Of which I must admit there's not an awful lot). Sondheim’s obviously poking fun at himself. As with Shakespeare, it’s hard not to miss parts of the composer’s shows, due mostly to his tongue-twisting, intricate lyrics. But his rich, elegant music and, in this case, the performers’ vivid expressions and top vocal qualities will allow you to enjoy the master’s work. It might also allow you to see and perhaps reexamine a part of yourself – even if, at some points, you “think you haven’t got” every line. Through June 19. Show times are 2 p.m. Wednesdays, Saturdays and Sundays as well as 8 p.m. Fridays and Saturdays. 8036 W. Sample Road, Margate.